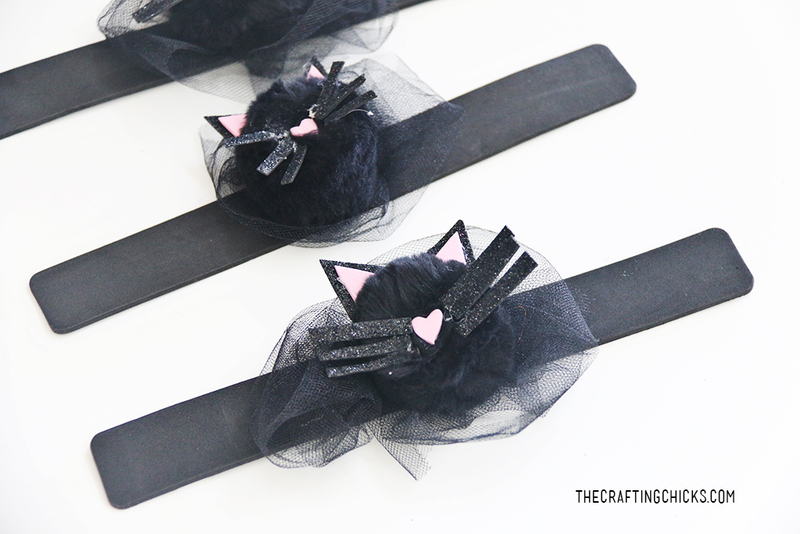 Create these adorable, whimsical cat corsages for a fun Halloween Kid Craft! 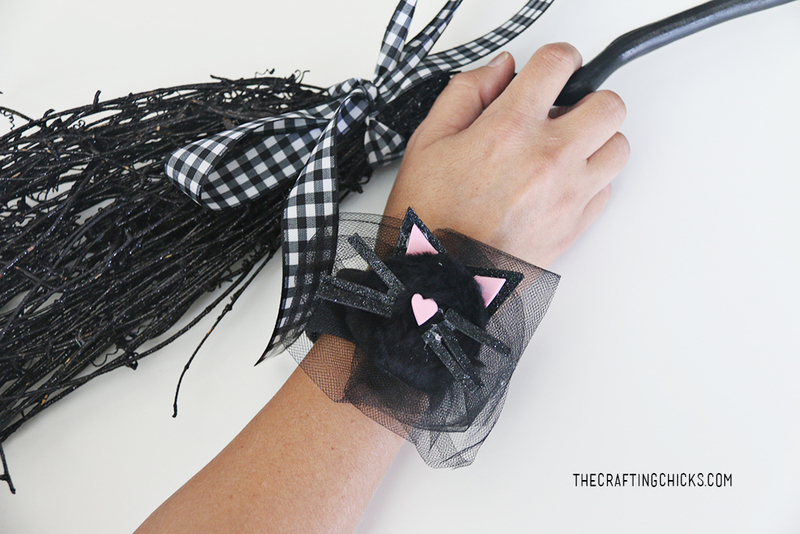 We loved creating this darling cat creation for our Witches Tea Party. This craft was the hit of the party. 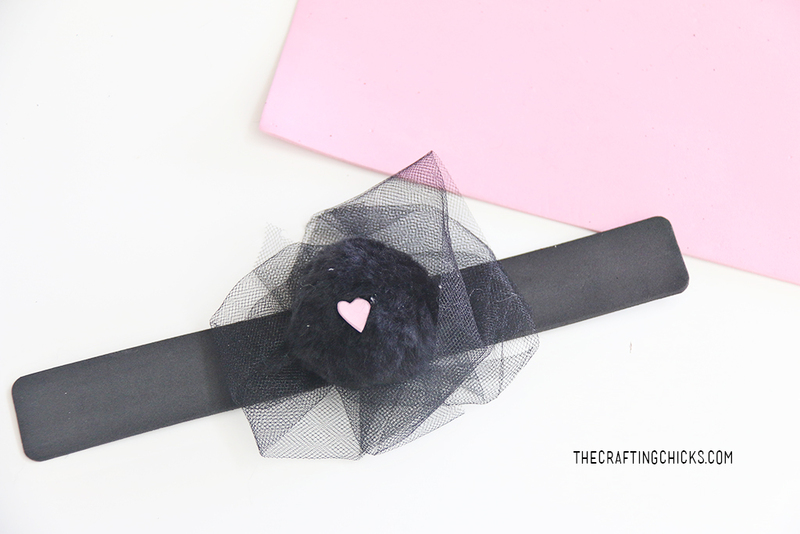 See how easy it is to create a Cat Corsage for those little wrists. 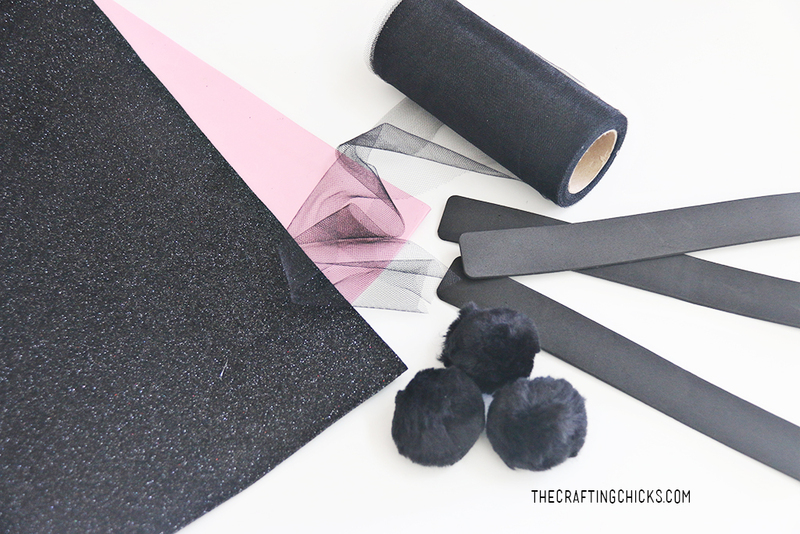 Hot Glue black tulle and a large black pom pom onto the middle of the black foam strip. Using pink foam, cut out a small heart shape for the nose. Glue on top of the black pom pom. Cut small strips of black sparkle foam for the whiskers and glue on the sides of the heart nose. 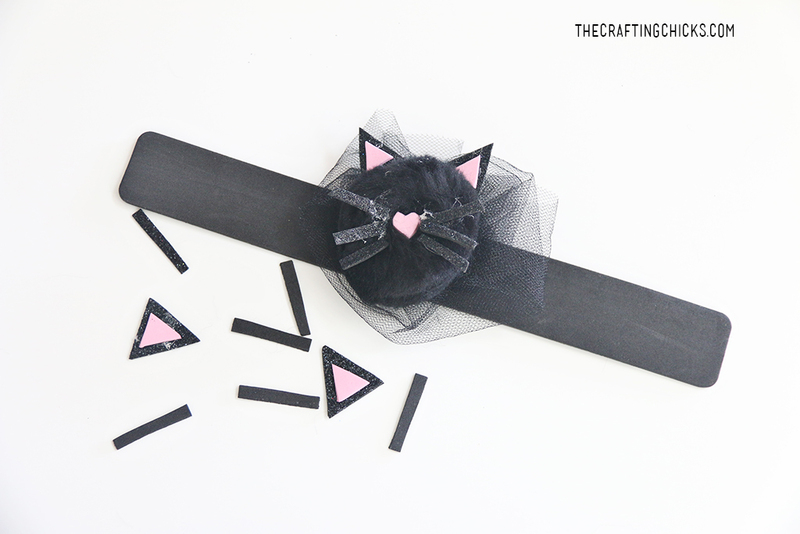 Cut small triangle from the black sparkle foam and pink foam and glue at the top for cat ears. 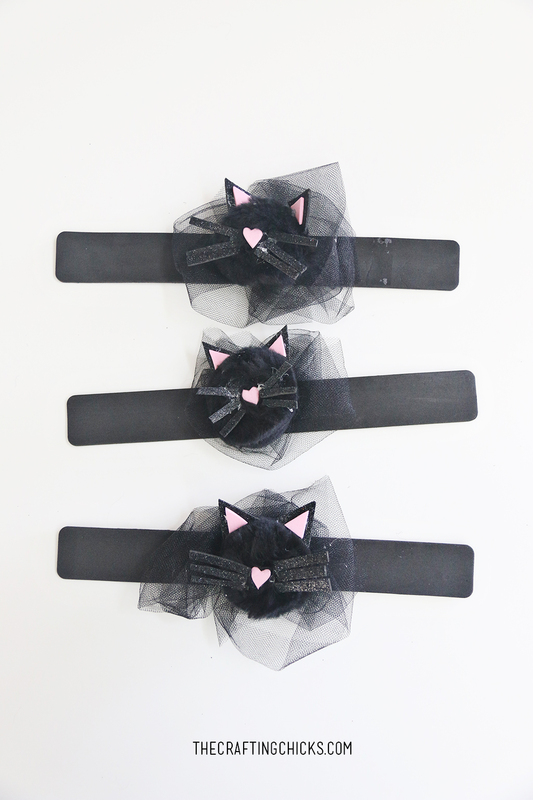 Now you have an adorable Cat Corsage Halloween Kid Craft. 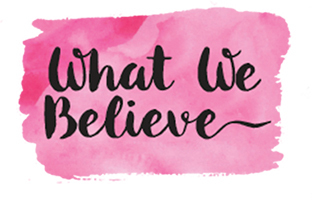 Little ones will love wearing these adorable creations on their wrist. Especially at a fancy witch tea party!